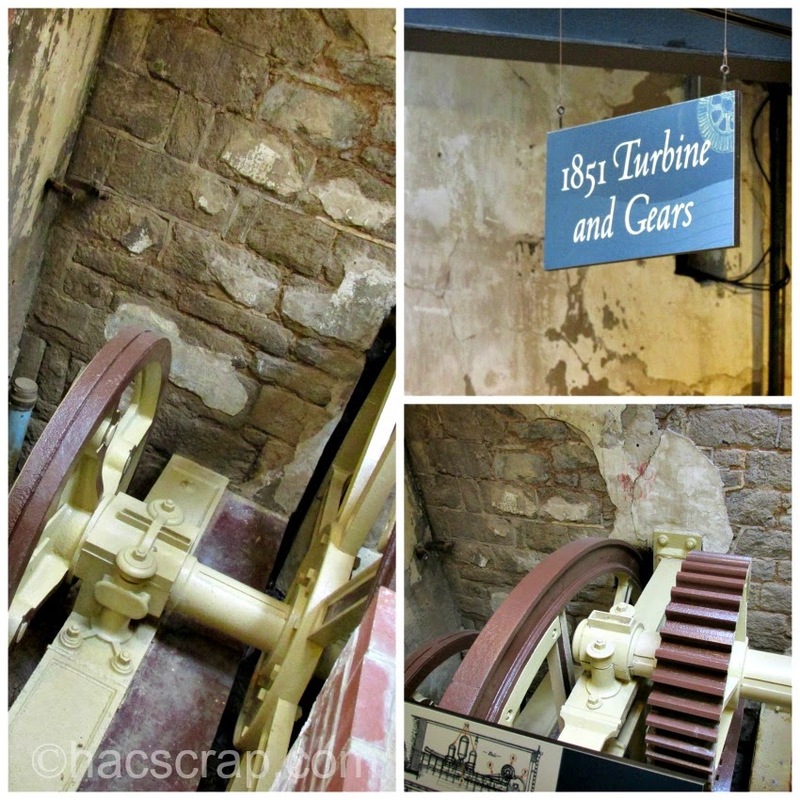 We were recently invited to tour the Philadelphia Water Works, located in Philadelphia's beautiful Fairmount Park. The Fairmount Water Works is a National Historic Landmark, a Civil Engineering Landmark and a national Mechanical Engineering Landmark. Wow - right? All right here practically in our backyard. A Little History: The Fairmount Water Works opened in 1815 to provide safe, clean drinking water to a city on the cusp of remarkable growth. It was the first in the nation. In 1909, the Water Works was decommissioned as a pumping station. From 1911 to 1962, the Water Works served as an aquarium. For ten years after that, it became the John B. Kelly Pool, a practice pool for competitive swimmers and students in the Philadelphia School District. In the 1970s efforts began a 40-year effort to restore this prized Philadelphia landmark. Visiting Today: Now the Fairmount Water Works has become the region’s premier urban environmental education destination and is recognized by the PA Department of Environmental Protection as The Delaware River Basin’s Official Watershed Education Center and Gateway Center for the Schuylkill River National and State Heritage Area. And you and your kids can check it out too! First of all, the location is simply stunning. The architecture, and the placement right along the Schuylkill River Bank is breathtaking. There are so many cool things to see, both inside and out. 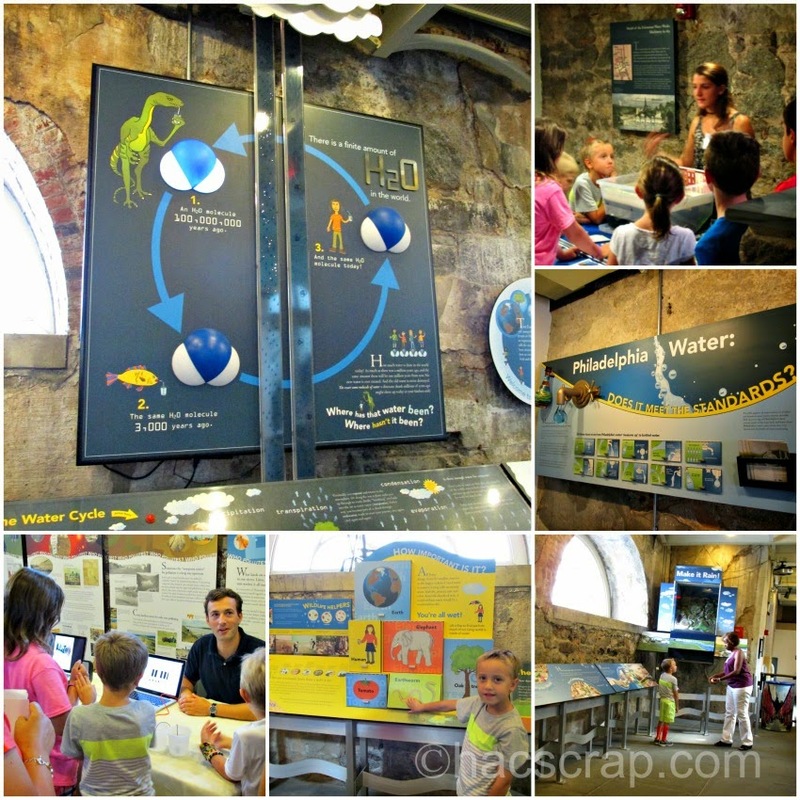 They have done a wonderful job of creating interactive and educational exhibits, that help explain water, water conservation and environmental protection to both children and adults. The staff is so friendly, knowledgeable and enthusiastic, be sure to take advantage and speak with them during your visit. 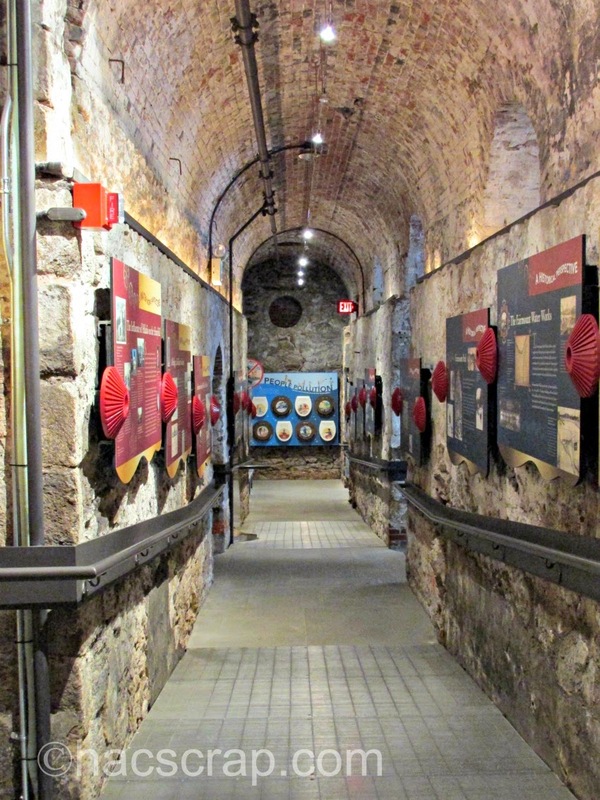 Check out their website for tours and events happening at the Water Works. My kids want to check out the Milling Around Tour! Ryan had been here on a class trip, and said it was wonderful. I had never been, so I was fascinated with the building and all the information they have to share. A very big thank you to the Water Works for their invitation - we will certainly be back! The Water Works is closed on Mondays. Operating Hours are Tues-Sat 10a-5p and Sunday 1-5p. There is FREE general admission to the public and Philadelphia School District groups. Outside school districts are asked to pay a fee (it's WELL worth it). There is limited parking, be sure to read all signage. The Water Works Restaurant and Lounge is located on the premises, it's a "fancy" restaurant and may not be suitable for all families. There is no children's menu online. 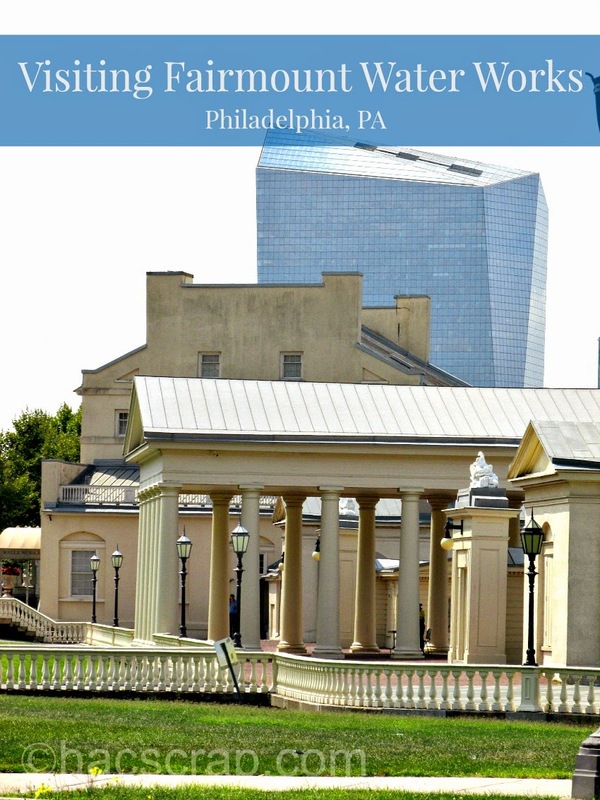 The Philadelphia Art Museum, Azalea Garden and historic Boat House Row are all within walking distance - wear comfy shoes! Ooh! We want to visit Philadelphia in the next few months! We'll have to check that place out!